Dressed in all black earlier this month, a group of St. Ignatius students held a lunchtime protest to draw attention to "the deeply embedded culture of oppression" at the school. UNIVERSITY VILLAGE — A group of minority students at St. Ignatius College Prep, one of the city's most prestigious private schools, met with administrators and alumni Wednesday night to talk about what the teens say are "serious racial problems" there. The meeting, held in the library of the school, was the latest development in an issue raised by students this school year. "For so long people have been quiet or haven't talked about the types of things that have occurred," junior Amber Cooper told the group Wednesday. "[It's] time for us to stop being shut out." 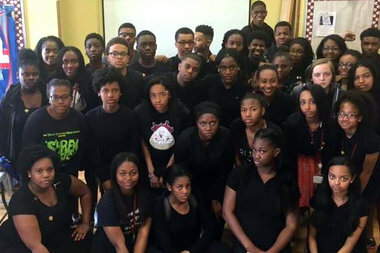 Earlier this month, dressed in all black, a group of minority students — known as "The Movement" at the school — held a silent lunchtime protest to draw attention to what they say is "the deeply embedded culture of oppression" at the school. The group of students have presented school administrators with a four-page letter detailing their concerns about the racism they say they have experienced at St. Ignatius, 1076 W. Roosevelt Road, where about 64 percent of the students are white. Read the students' full letter below. "Today, we want everyone to know ... that there are serious racial problems within the Saint Ignatius community," the letter says. Among other concerns, the students alleged that incidents of racism have been ignored by the school administration; that minority students are dealt harsher disciplinary actions when compared to their white counterparts; and that the word "n-----" has been used by students and teachers at the school. In the letter, the students called on the school to hire more minority teachers, create a commission on diversity and inclusion, increase diversity training for all students and devote more class time to African culture and history. In a response to the students' letter, the Rev. Michael Caruso, president of St. Ignatius, and Brianna Latko, the school's principal, posted a note on the school's website. The administrators wrote that there were many postings in reaction to the letter, some of which created a thoughtful dialogue, while others "have been hurtful and inappropriate." The two administrators vowed to meet with the students who authored the letter and said they have been discussing the issue with "some students and other members of the Saint Ignatius College Prep community." "It is the school’s intent to work on addressing these issues in a manner that is consistent with our Catholic, Jesuit values," Caruso and Latko wrote. On Wednesday night, more than 150 St. Ignatius alumni met with students, teachers and administrators in the school's library to discuss the school's next steps. Even before the protest, Latko told alumni she had "an incredibly eye-opening" meeting with a group of African-American students at the end of last year. "They were candid about their positive experiences at Ignatius... and candid about the things that had been difficult along the road," Latko said. "It got me thinking about what's going on for our students of color on campus." Now, administrators "are in an important stage of listening," Latko said. "We realize we still have some important work to do," she said. 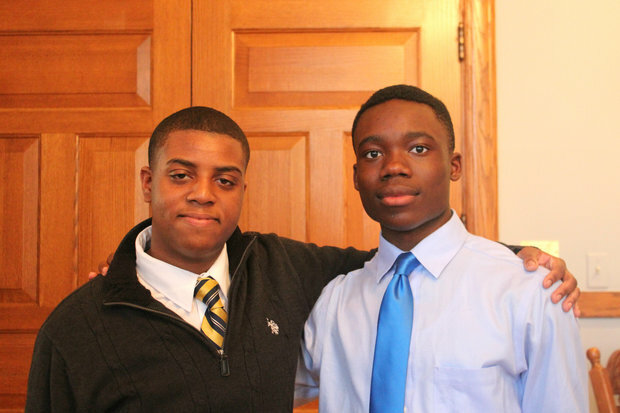 Christian Johns, a senior at St. Ignatius who wrote the letter, said The Movement began after a performance by the school's Black Organization of Successful Students. "We made a group chat to thank everyone for performing. But a week after, we started sharing all of our experiences that have been happening here," Johns said. Until that group chat, Johns said he did not know that many students at the school felt oppressed or undervalued during their time at St. Ignatius. In an effort to create change at the school before his impending graduation day, Johns crafted the letter, and fellow students organized the Friday protest. Soon, the students started sharing their experiences on social media with the hashtag #beingPOCatignatius (POC stands for person of color). Johns said some white students at St. Ignatius don't know what is offensive to a student of color — that talking about their hair or the way that they speak can be offensive. "Students bring this from home, and while we understand that there is a lot administration can't do about [racism], it is also their responsibility to help to address the school's culture. We're asking them to do more to inform students," Johns said. Junior Jeremy Atuobi said The Movement does not aim to defame the school. "I've loved my experience here and this is us providing some criticism as to how we can make Ignatius a better place," Atuobi said. "We want it to be a better place." Alumnus Cutrice White-Scott, a 1990 graduate and member of the Claver Society, a group that supports the school's African-American students, said the group is proud of current students for starting the conversation on diversity. "We are following the lead of the students. They say they want to dialogue, they say they want change. We are here to connect with students to find out what they need ... to help make that happen," she said at the Wednesday night meeting. Alumnus Sonia Antolec, a 2001 graduate and member of the San Ignacio Society, a group that supports Latino students, said she wants to support current students in overcoming struggles at the school that may still exist. "We wanted to thank The Movement — the students themselves. It takes a lot of strength, courage and integrity to do what you did," Antolec said. While not at the meeting Wednesday night, notable St. Ignatius alumni include Mellody Hobson, president of Ariel Capital Management and former Cook County Board President Todd Stroger, who are both African-American, and Hispanic actress Gina Rodriguez. St. Ignatius's student population is 64 percent white, 13 percent Hispanic and 9.5 percent African-American, officials said. Of the disciplinary citations that have been issued to students this school year, 66 percent of recipients were white, 9 percent were Hispanic, and 12.5 percent were African-American, administrators said at the Wednesday meeting. In the last five years, 15 students have been asked to withdraw from the school. Nine of those students were white, three were Hispanic, two were African-American and one was Asian, Lasko said. 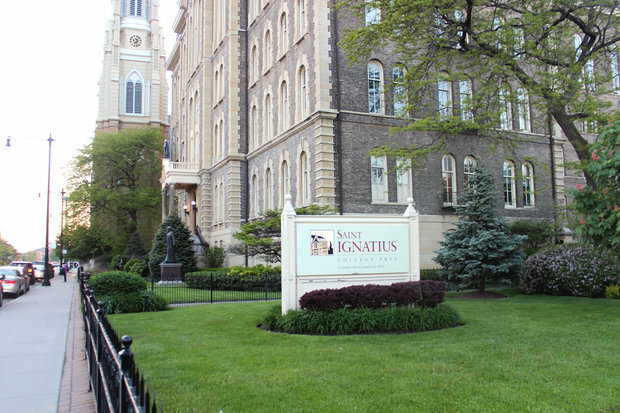 In September of 2015, St. Ignatius placed a teacher on administrative leave after the teacher "engaged in inappropriate conduct in the classroom," Latko said. While St. Ignatius officials have declined to answer questions about that teacher, several sources familiar with the action said the teacher is African-American. A private, coed Jesuit high school and one of the city's premiere parochial schools, St. Ignatius College Prep was founded in 1869.